When it comes to Night parrots, the score is Loudmouths – zero! We’re a bunch of folks (often just blokes) who do stuff together, from our university days (largely Biology at Latrobe Uni in the late 60s) to family camping trips to inland rivers and the dry country to building a ski lodge together at Mt Hotham. We still hang out, competing in the annual Twicthathon (hence the articles elsewhere on this website under the Birds tab) as the Common Loudmouths and occasionally on more ambitious trips. 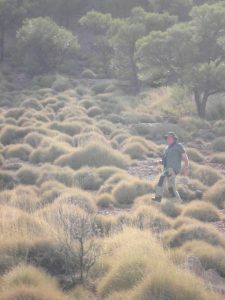 We saw Princess parrots in the Great Sandy Desert, we went to the Iron Range in FNQ to find a Palm cockatoo, we chased the three mega-skulkers in south-west Western Australia and we’ll shortly go to Boodjamulla National Park in far north-west Qld to look for some grass wrens and lilac-crowned fairy wrens. The Common Loudmouths mounted a search for Night parrots in September 2013, just a few months after John Young’s rediscovery of them in the same area that we were going to look. This was quite by chance although I guess that both searches were framed around the finding of the 1990 and 2006 birds, both dead and decapitated, in the Diamantina region of south-west Qld. Where John Young did 17,000 hours of research and searching, the Common Loudmouths might have racked up 17 hours so it was inevitable that he rather than we should find the bird. We did do some preparation though. 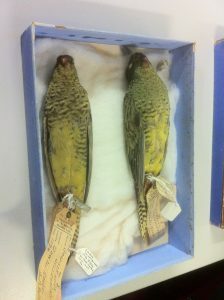 Here’s a pic of two specimens in the Museum Victoria collection – we thought that we should know what they looked like. 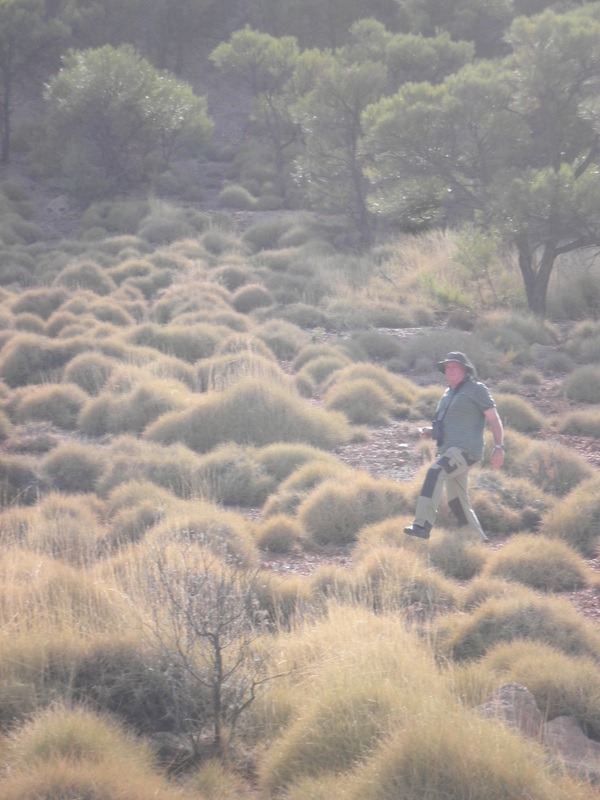 Our research regarding habitat paid off too – this is the country in which John Young found them and this is a pic of our search, with Max Loudmouth tripping lighly through the Triodia. The advantage than John Young had over us Loudmouths was that he knew how to look for them whereas we spent many hours in our camping chairs, beers in hand, discussing how we might look for them. It turns out that this did not lead to success. 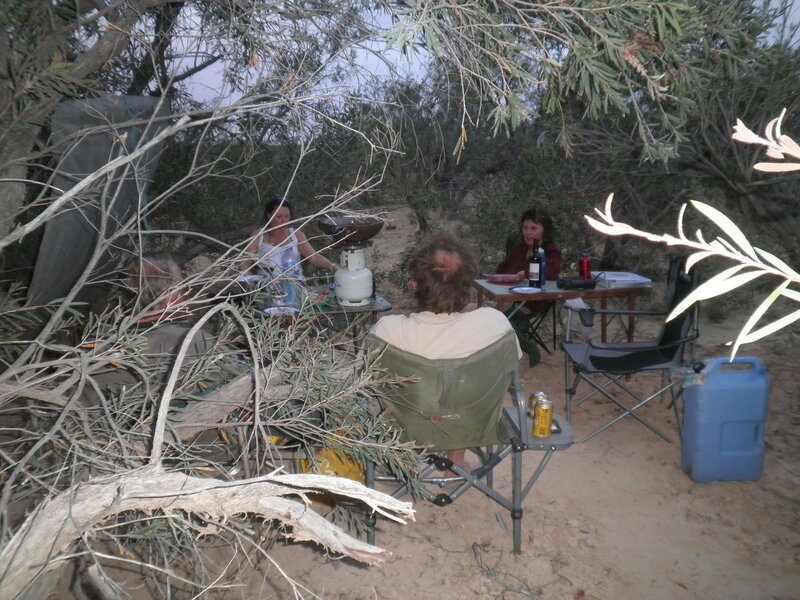 We did spend many enjoyable hours camping in some fine country though, here a drink after a camp-oven curry in a dry watercourse east of Boulia.